Supplied with 2 small adjustable shelves. 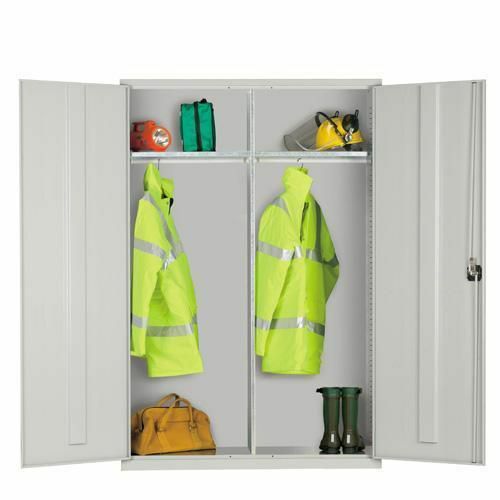 2 full height compartments with hanging rails. 3 point locking supplied with 2 keys. Wardrobe style cupboard complete with 2 shelves and hanging rails.